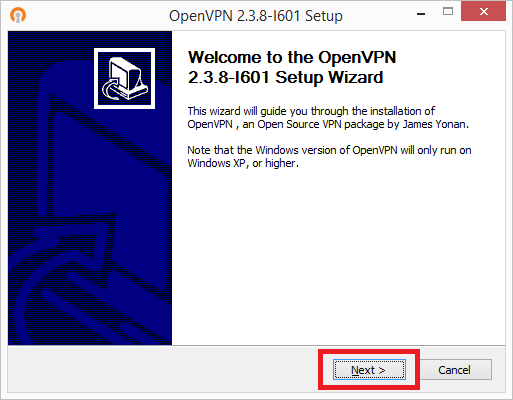 This tutorial guide will walk you through the steps to connect to a VPN server using ExpressVPN’s OpenVPN configuration files with the OpenVPN GUI on your Windows PC. The OpenVPN GUI is a free, open-source software available for Windows XP, Windows Vista, Windows 7, and Windows 8. The directions and screenshots in this tutorial are for Windows 8.1, but the steps should be similar enough for other versions of Windows. Prefer app setup? See the instructions for app setup on Windows 7 and 8 and Windows XP and Vista. 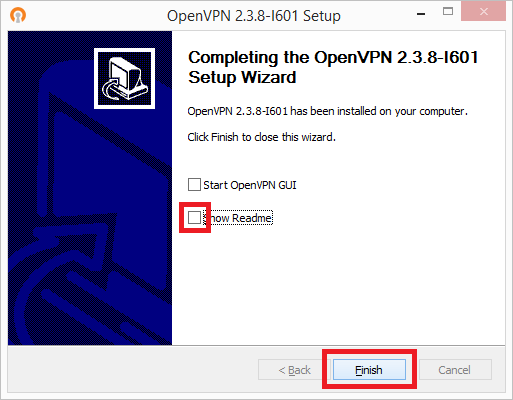 To set up the OpenVPN GUI on your computer, you will need to download our OpenVPN configuration files. 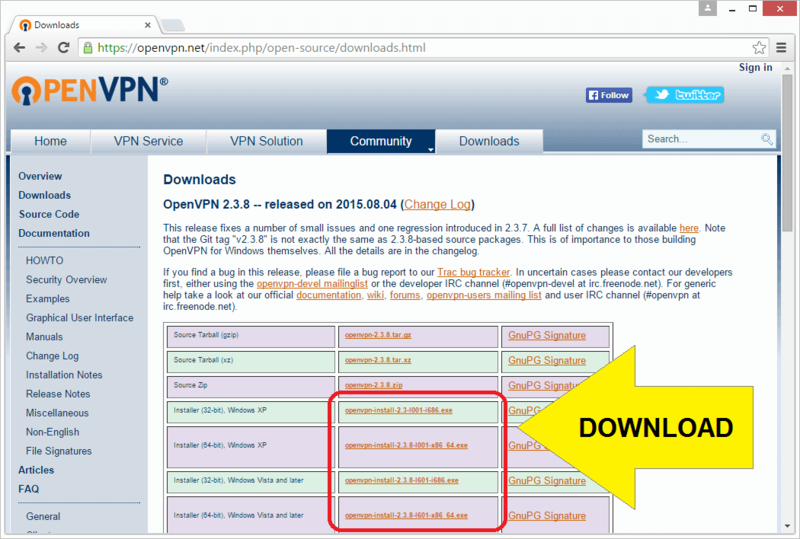 Go to https://openvpn.net/index.php/open-source/downloads.html. Save the installer .exe file for your operating system to your Downloads folder. Launch the installer .exe file to start the Setup Wizard. The User Account Control will ask: “Do you want to allow the following program to make changes to this computer?” Click Yes. The Setup Wizard is now launched. Click Next to begin! You will see the License Agreement. Read it if you wish. Click I Agree. On the Choose Components screen, click Next. On the Choose Install Location screen, click Install. A Windows Security dialog box will pop up asking: “Would you like to install this device software?” Click Install. When you see the Installation Complete screen, click Next. 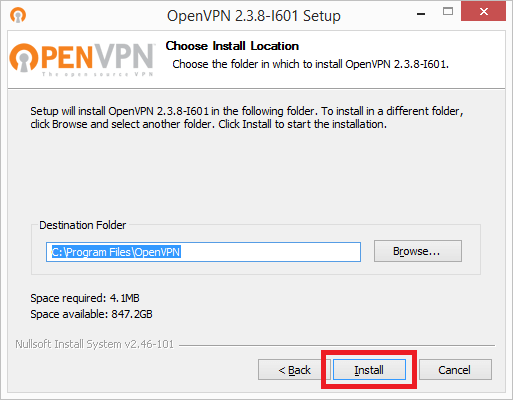 You will see a message telling you that OpenVPN has been installed on your computer. Uncheck the “Show Readme” box, then click Finish. Now we will configure the OpenVPN GUI with the .ovpn configuration files we downloaded earlier. 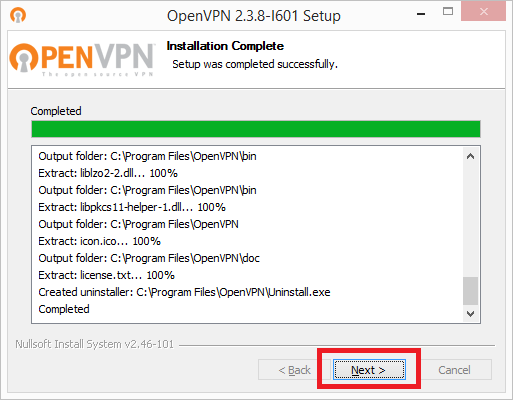 During the installation process, an OpenVPN GUI shortcut was added to your Desktop. 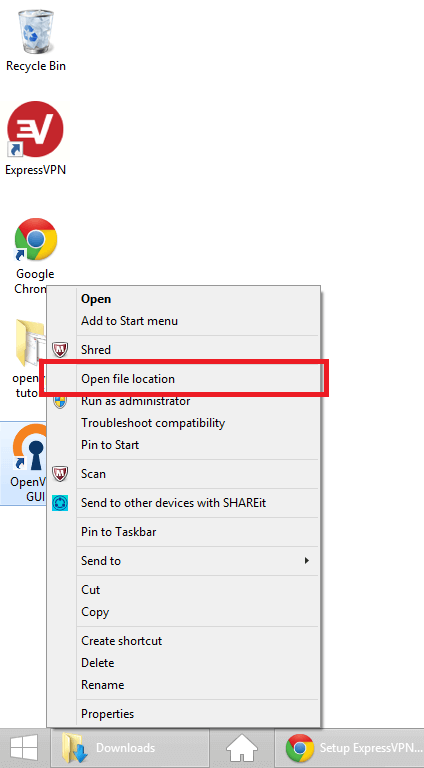 Right-click the OpenVPN GUI shortcut and click Open file location. You are now in the C:\Program Files\OpenVPN\bin directory. We want to go up one directory, to C:\Program Files\OpenVPN. 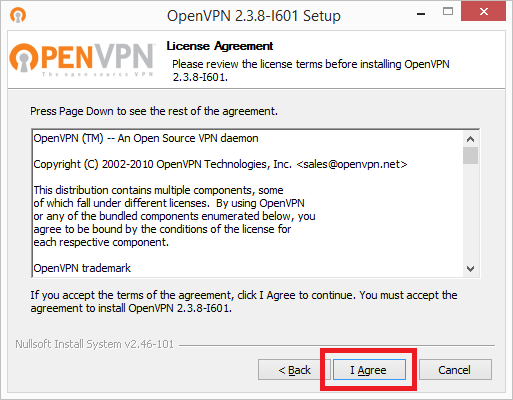 Click OpenVPN in the navigation bar to enter that directory. We now want to enter C:\Program Files\OpenVPN\config. Double-click the config folder to enter it. 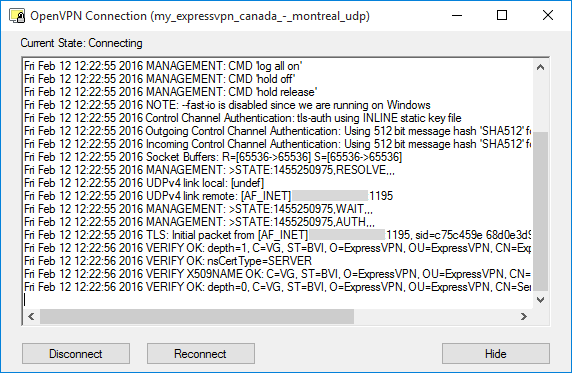 Remember those .ovpn OpenVPN config files we downloaded in Step 1? Now we want to move them into the C:\Program Files\OpenVPN\config folder. 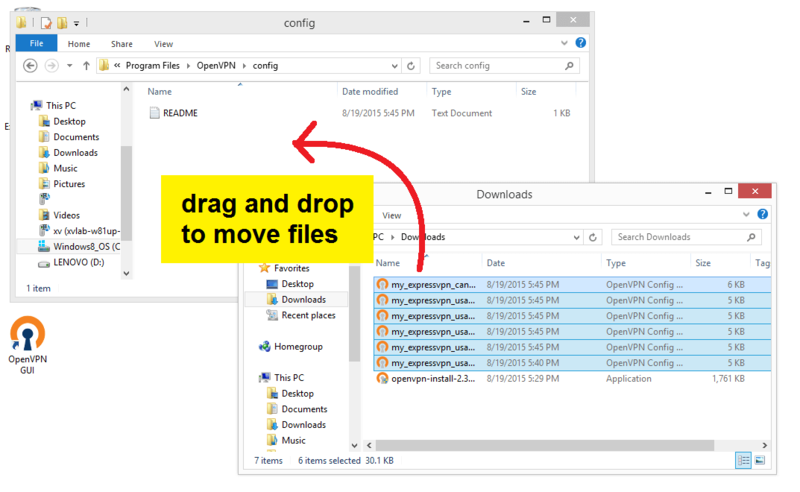 Select the.ovpn files in the Downloads folder and drag and drop them into the config folder to move them. 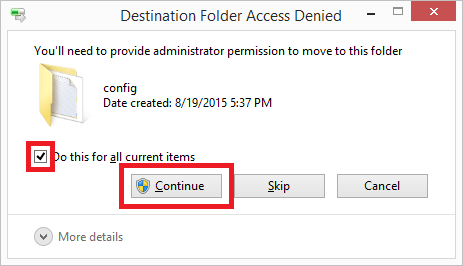 You might see this “Destination Folder Access Denied” pop-up. It will ask you to provide administrator permission to move things into the config folder. 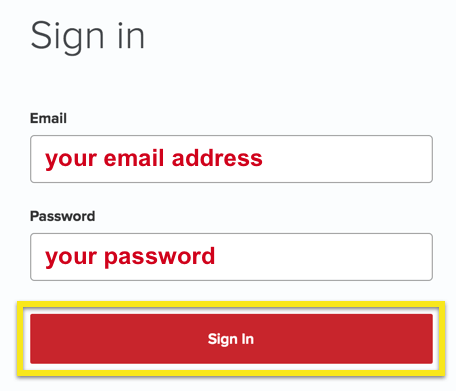 Check the box for “Do this for all current items”, then click Continue. Awesome! Now your .ovpn files are in C:\Program Files\OpenVPN\config directory. In order to prevent your internet service provider from seeing information such as what sites you visit, you can edit your configuration files to protect against DNS leaks. 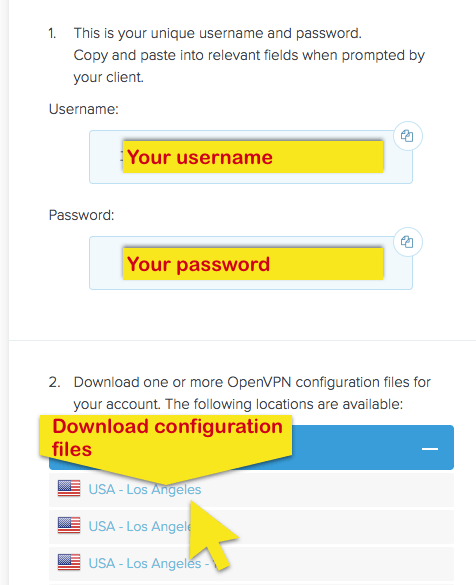 Double-click on each OpenVPN configuration file you wish to use. If prompted, choose to open the file in a text editor e.g. Notepad. Do not modify the text you see. At the end of the text, add a new row. 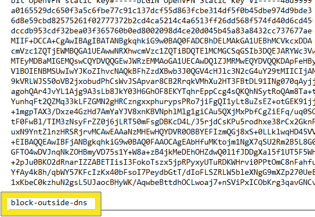 Paste block-outside-dns in the newly created row. Save the file and then close the text editor. 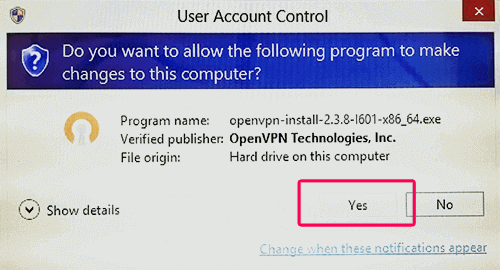 Right-click on the OpenVPN GUI shortcut on the Desktop and choose Run as admin to launch it. Launching the OpenVPN GUI will add an OpenVPN GUI icon to the system tray in the bottom-right corner of your screen. Click the system tray arrow, then click and drag the OpenVPN GUI icon out of the menu and into the system tray for easier access. 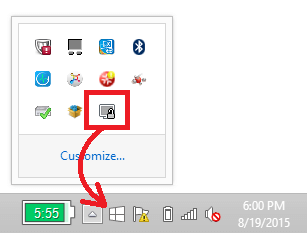 Right-click the OpenVPN GUI icon in the system tray. You will see a list of all the servers. Hover over your preferred VPN server, then click Connect. Clicking Connect launches a Connecting screen. 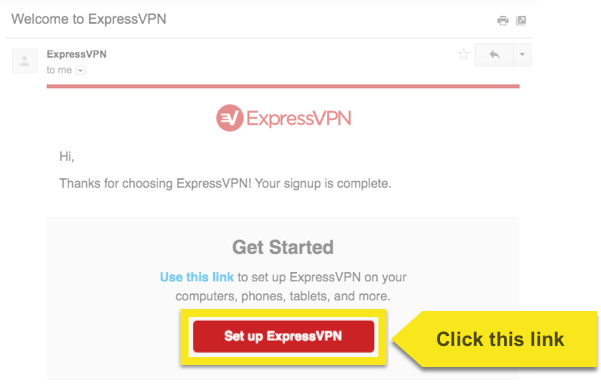 Enter the ExpressVPN OpenVPN username and password you found earlier then click OK. When the connection has been established, a speech bubble will notify you of your new connected status. If you are already connected to a server location and want to connect to a different one, you must first disconnect from the current server before connecting to another one. 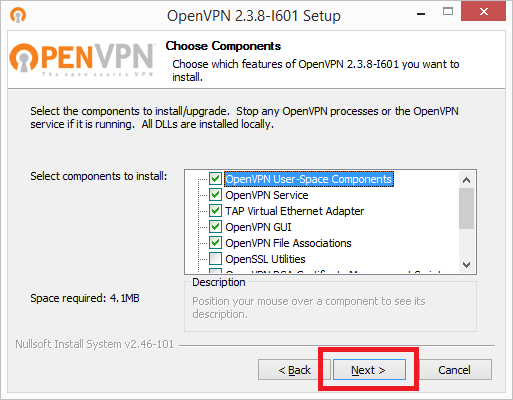 To disconnect from the VPN server, right-click the OpenVPN GUI icon in the system tray, hover over the VPN server to which you are connected, then select Disconnect.